With a special place in my heart for Japan and a soft spot for makeup brushes, it is no wonder that I have developed a serious love for traditional Japanese handmade makeup brushes over the past few years. Japanese brushes have been becoming more readily available the past few years, so it doesn't take a trip to Japan to get introduced to them anymore. I got a few new Bisyodo brushes a month or two ago, and I've been extensively using these brushes when getting ready in the morning. It's been a bit of a love story with some of these, especially their quality range has been a real joy to use. Insert pink hearts emoji here! 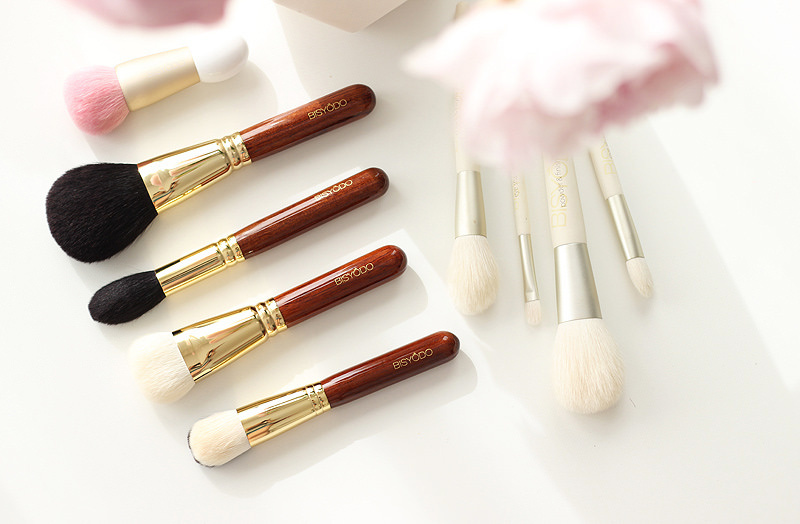 Uyeda Bisyodo has been active with sourcing raw materials for the fude (Japanese brushes) industry since 1945, and launched their own makeup brush line called Bisyodo 3 years ago. They have only started selling internationally very recently, so this brand is a new discovery for me. 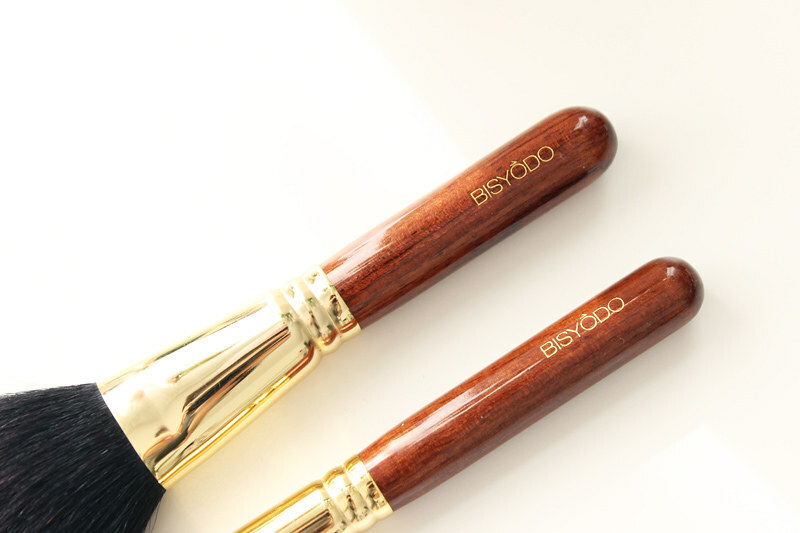 They produce two ranges of brushes: the luxurious and Japan made Bisyodo brushes with beautiful rosewood handles and gold plated ferrules, and a white coloured budget range called "Alba" which I don't think is produced in Japan. Now I'm not a makeup brush expert by any means, but I can still appreciate a good makeup brush when I see and use one. I'll be focusing on the Uyeda Bisyodo brushes as I've loved using these the most, I found myself reaching for them daily and saw my other trusted brushes easily replaced by them. Which is always a good indication! The details on the brushes are really pretty and luxurious, just like you'd expect from Japanese handmade brushes at this price point. 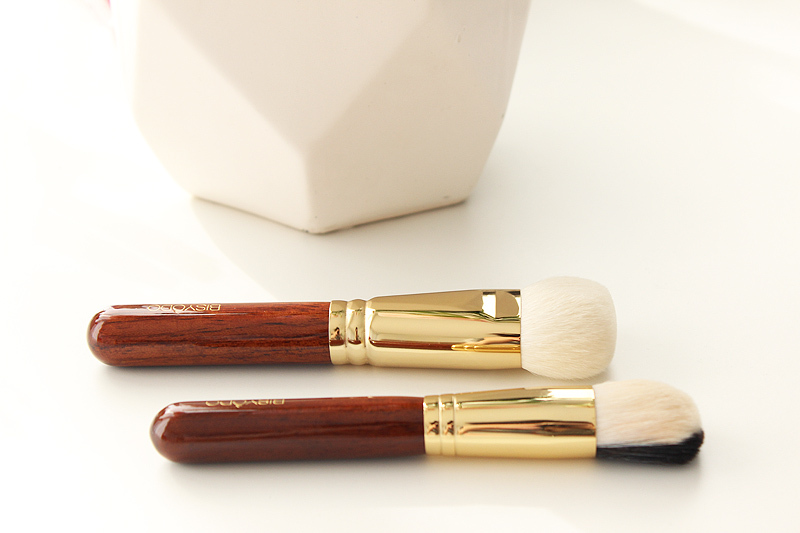 The ferrule of the brushes are made of pure brass, coated with 24 carat gold. The handles are made of the African rosewood tree, a hard and weighty wood which is pretty resistant to wear and tear. It is also loved by music instruments craftsmen, with the wood being used to make custom guitars, basses and other instruments. In housing the wood is often used to build staircases and flooring as it's so hard and and heavy. The colour is very rich and warm, and I love how the wood texture is visible underneath the shiny protective coating. The only engraving on the handle is the brand's name - the makeup brush number would've been a welcome addition for easier referencing, but in the end that's not a big issue. 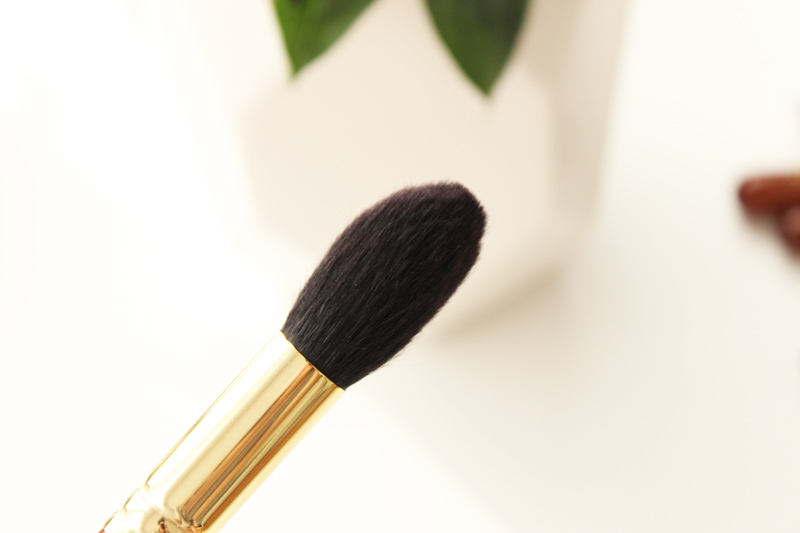 The B-LF-01 is a synthetic foundation brush with a special two-toned look. I have always loved brushes that have two different colours of bristles, but I will never forget someone at a MAC counter advising me against buying one of their dual synthetic/natural foundation brushes as she thought them to be just a fad and difficult to use. This Bisyodo brush is completely synthetic though, so the split colour is just a pretty extra touch I can now finally appreciate in my own brush collection. 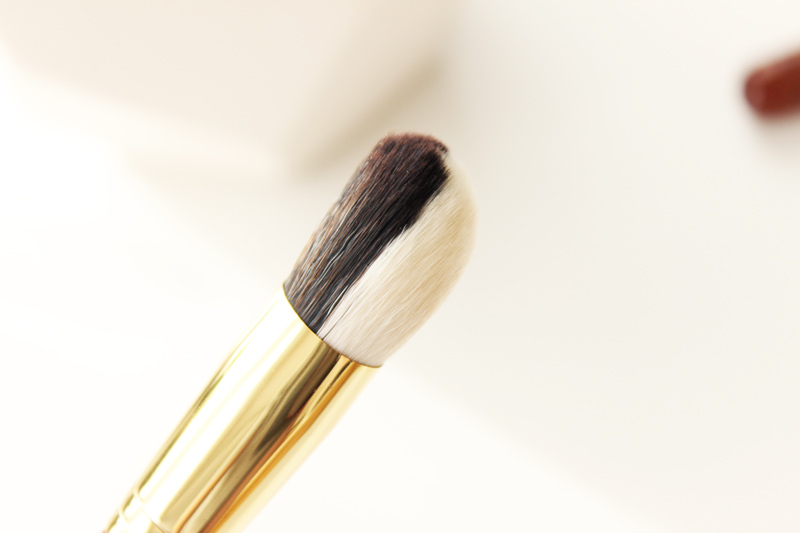 The fibers are not super densely packed, the brush still gives some movement when applying foundation but is dense enough for a medium to full coverage result. The white bristles are cut a little more rounded, while the dark bristles have a flat side (I hope I am making sense here!) I tend to use the white side to apply and blend my foundation; the darker side could be used to distribute the foundation beforehand. This one retails for 4,000 yen. The B-FD-01 is a natural bristle foundation brush with 1.5 times the amount of bristles they use in their other brushes. It's pretty densely packed and still very soft! It's advised for powder foundation, but as I don't use powder foundation I just went for it & now use it for liquid foundation. The size is pretty much perfect for regular foundation application. I normally use a huge Artis oval makeup brush to apply my foundation super quickly, but this one does the job pretty quickly too and gives a pretty flawless finish. I read in a few reviews that it can also be used for cream contouring, I also tried powder contouring but that definitely did not work out for me as I like my contouring brushes much less dense. Retails for 10,000 yen. The B-H-01 is the brush I was probably the most excited for, and I was happy to find my high expectations met! 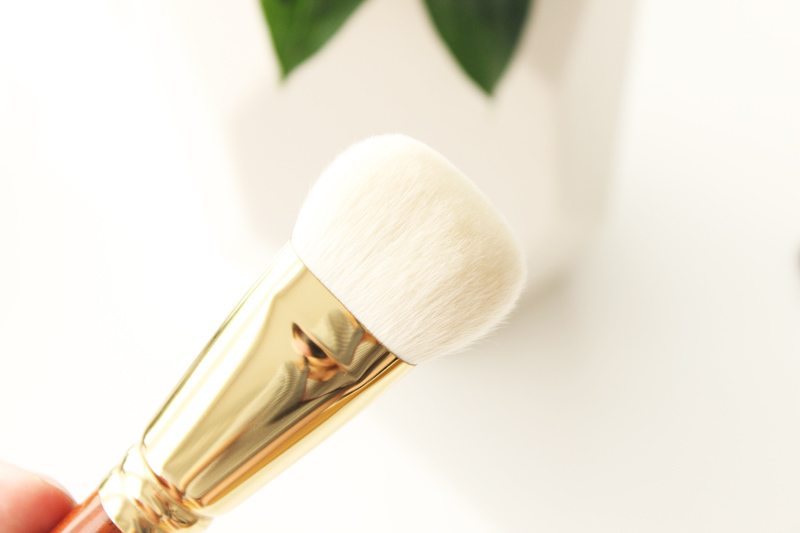 This natural bristle highlighting brush is so so so soft - it applies highlighter like a dream. Now that I've used this one, I can easily spot the flaws with my other highlighting brushes: they are often too stiff or dense to apply highlighter as diffused as I like it to look, so I often softened my highlight with a fluffy powder brush. This Bisyodo one though is so soft it applies my highlighter beautifully, without needing to soften it out with another brush afterwards. Retails for 5,800 yen. 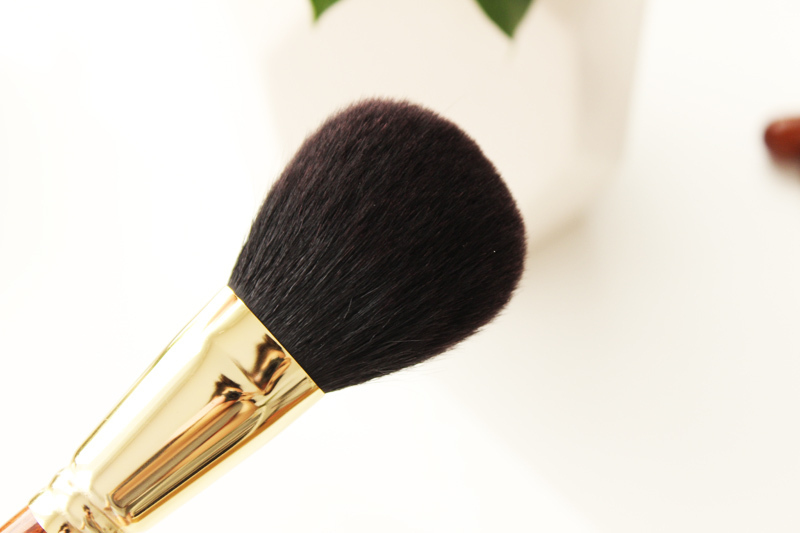 The B-F-02 is a natural bristle big powder brush. 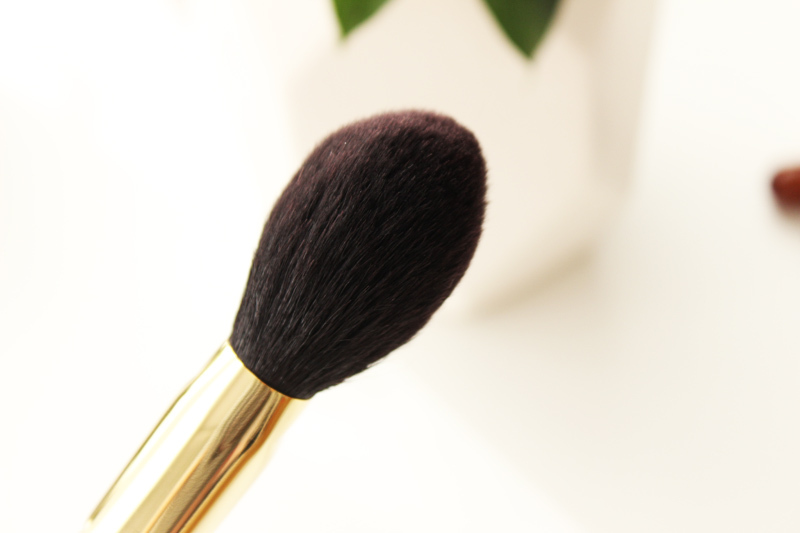 The density and size of the brush is perfect for using bronzer to warm up the complexion. I use bronzer daily to add some warmth to my pale skin and I mostly need to look out that the bronzer does not apply patchy or muddy. 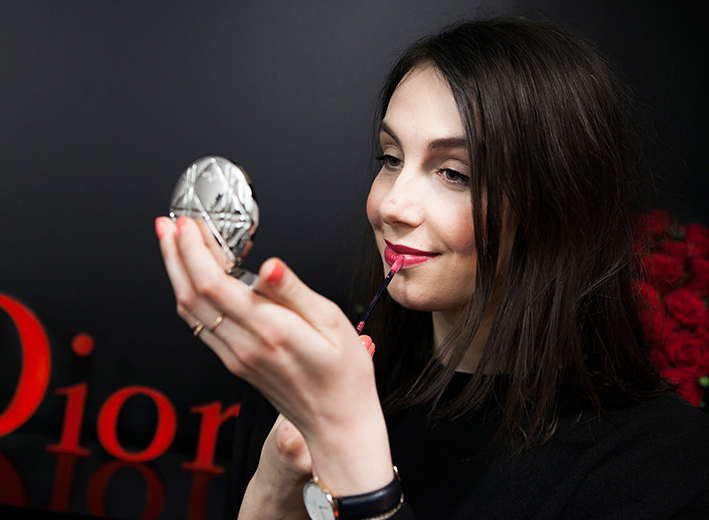 While the quality of the bronzer has a big part in this, the brush quality plays at least an equal part. I don't own another powder brush that is this soft, so it's a true delight to use. It builds up pigmentation pretty nicely, going from a light sun kissed look with the first application to a beachy bronzed look if you dip into your powder a few times more. Retails for 13,000 yen. Last but not least, let's talk about this super cute natural foundation brush that has a cute name too: "Puffy". 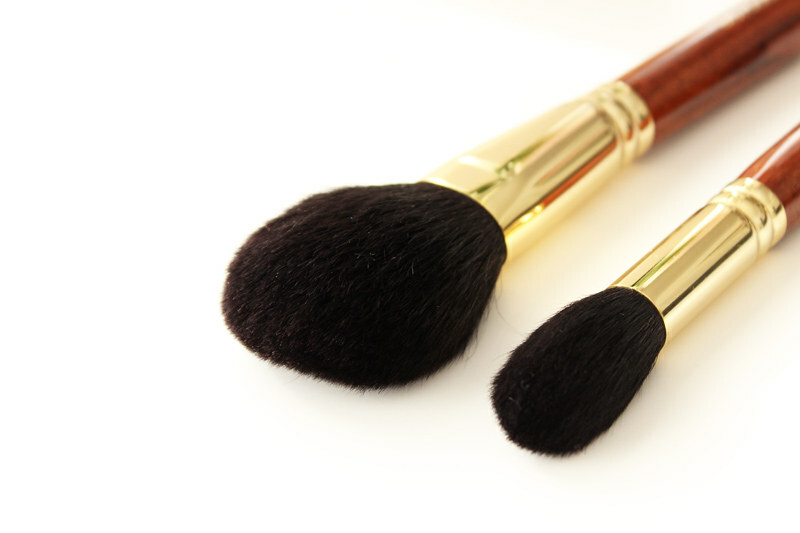 It has 2.2 times more bristles than other brushes, making it quite dense and perfect for full coverage application. This one is intended to use for powder foundation or cream foundation, but similarly to other foundation brushes I find that I can just as well use this one for liquid foundation. 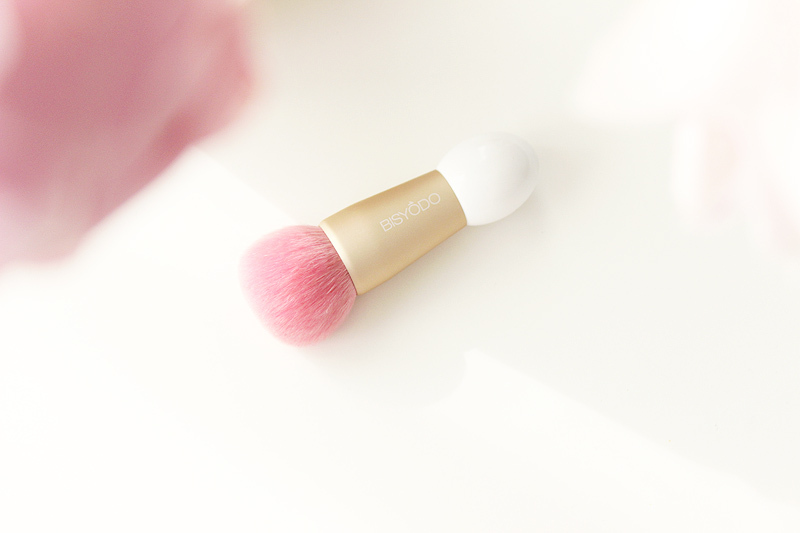 As this one has a short handle, it's perfect to use in your on-the-go makeup bag for powder touch-ups. 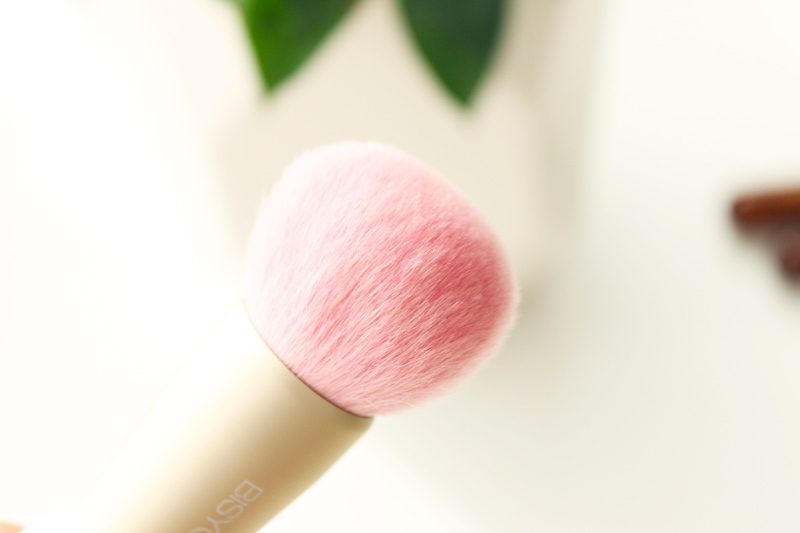 There's also a similar cute powder brush available with a rose shaped pink brush head. Retails for 4,800 yen. I know that these hand crafted brushes are pretty pricey - the big powder brush for example is definitely the priciest brush that I own today. 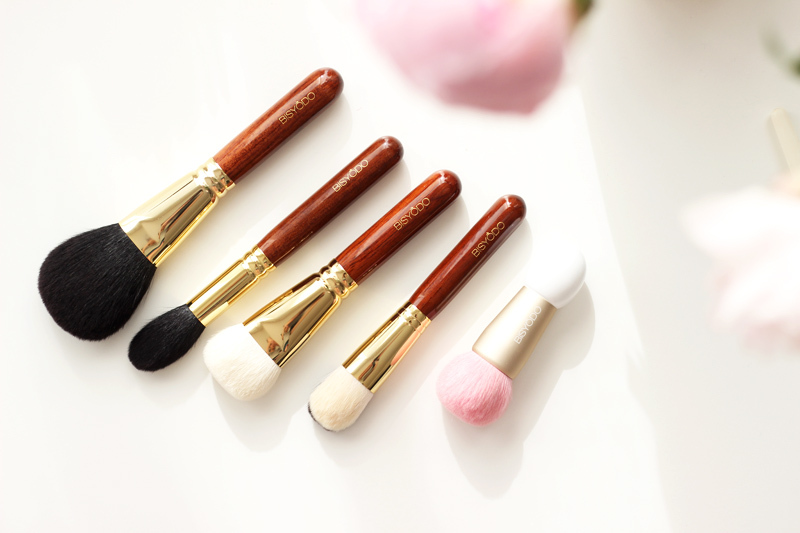 However I have purchased the more expensive brushes on the European market before (such as Chanel and Sisley), and I find that these are definitely superior in quality. These have barely shed on me - I found two or three hairs after the first wash, and almost none afterwards. A welcome change next to some of the other brushes I have previously owned. They also stay super soft, even after washing a few times. You have to keep in mind that these are handmade brushes, which as with all traditional craftsmanship translates to the pricing. It's of course tough to predict beforehand, but I do think these will last me longer than some of my other brushes. A MAC powder brush I bought a year or two ago for example, is already ready for the bin.. So to make a long story short: the bigger brushes are definitely quite an investment, so keeping in mind our mostly moderate budgets I would definitely not just buy them on a whim. 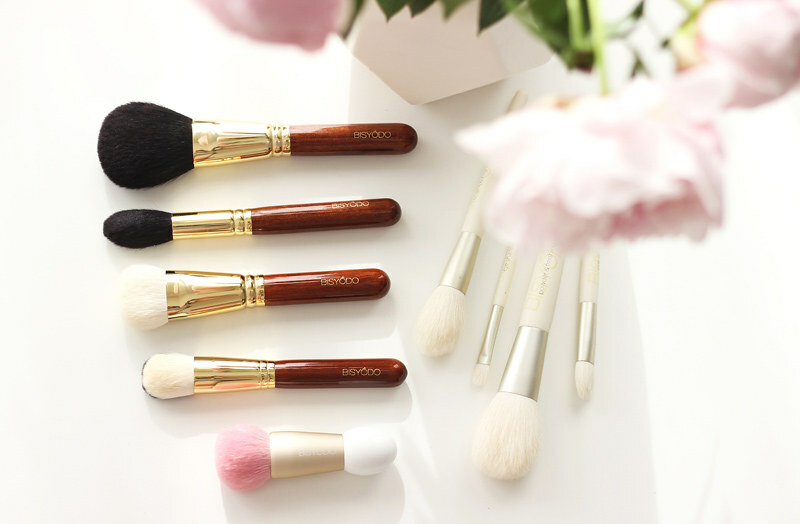 But if you have the right size budget, or if you've saved up because you love artisan makeup brushes, I'd definitely wholeheartedly recommend these Bisyodo brushes next to the other well-known Japanese brush brands. You'll find these traditional makeup brushes in shops in Japan, but unless you're headed there soon you'll probably want to know where you can order these online; When you're ordering from outside of Japan you can find most of Bisyodo's brushes on the well known online shop CDJapan or also ZenMarket. 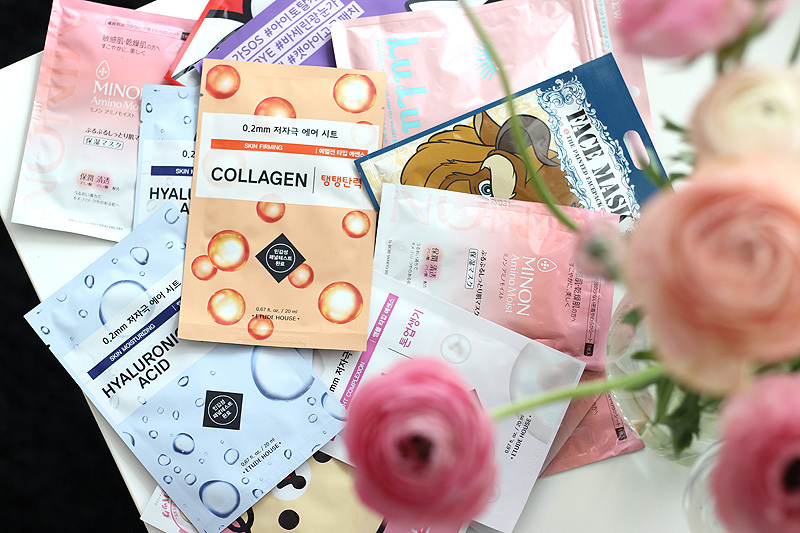 Just keep in mind your country's import tax regulations when buying online - I had to pay an import fee, so by researching and already calculating this into your budget when purchasing you won't be unpleasantly surprised.